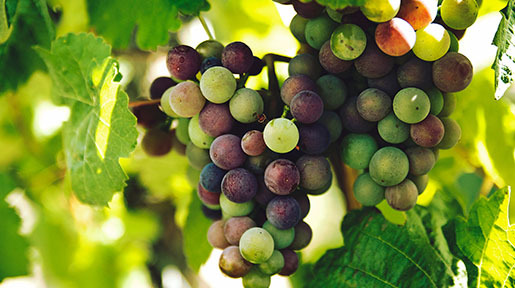 Sonoma offers a wide range of pinot noir options—but some are simply too outstanding to miss. To help develop a list of the top of the top, we asked over a hundred of the top vintners in Sonoma for their own personal choice for the top Pinot Noir under $100 in the area, and the list is to die for. Dutton Goldfield - The two mainstays of Dutton Goldfield are their pinot noir and chardonnay…making it the perfect winery for red/white couples. Their pinot noir has become a recognizable wine in the Sonoma scene for the added finish their open-top fermentation provides. Wine Enthusiast has given their pinot a 92-point rating. Gary Farrell - The Gary Farrell winery in Sonoma is known for two things: sensational views and breathtaking wines…or was that the other way around? Either way, the wine is exceptional—most notably the pinot. 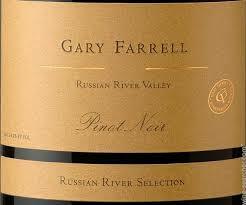 Gary Farrell truly helped put Sonoma pinot on the global stage, and provides a benchmark for the region. His ability to create bold but not overpowering black cherry and berry flavors with sandalwood and Asian spice tones is nothing short of impressive. 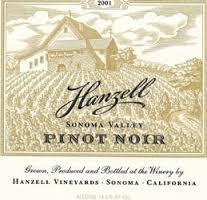 Hanzell - Hanzell’s chardonnays and pinot noirs are widely regarded in the wine community but remain a well-kept secret from the average wine consumer. 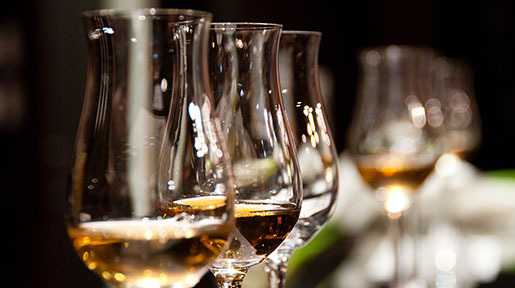 Their pioneering efforts in barrel aging, malolactic fermentation, inert gases and anaerobic techniques have refined along with their wines. When you combine their state-of-the-art technique with the fact that they have the oldest pinot vines in the Western hemisphere—it’s a recipe for pinot success. 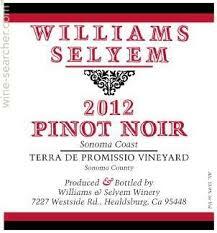 William Seylem - William Seylem’s namesake previous owners, Burt Williams and Ed Seylem, were true pinotphiles at heart. Today, Williams Selyem is owned by John Dyson and the Head Winemaker is Jeff Mangahas. Together, they have dedicated the bulk of their vineyards to pinot, and produce 6 or more pinot variants each year. Their pinots have scored above 95 points from the ever-discerning wine enthusiasts at Wine Enthusiast. 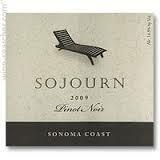 Sojourn Cellars - Sojourn Cellars produces a number of scentual wines—but pinots are where they truly shine. In 2013 alone, four of their pinots scored above 95 points from the Pinot Report. Their Gap’s Crown Vineyard Pinot Noir earned a 95-point score from Robert Parker. 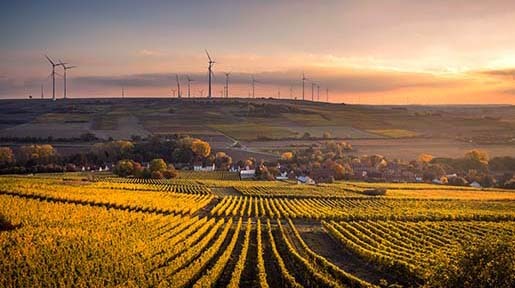 They generally release about four vintages each year, and in 2015 have their new award-winning Gap’s Crown and Sangiacomo single-vineyard pinots. 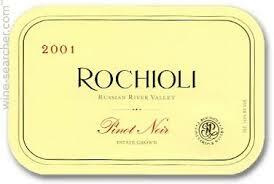 Rochioli - Rochioli winery is known for two wines, sauvignon blancs—and pinots. Their commitment to high-quality, hand-crafted pinot production has not only led to year-after-year exceptional pinot production, but Rochioli helped cement the Russian River Valley’s foothold as a pinot powerhouse. Talisman - There are very few wineries as committed to pinots as Talisman. They dedicated each vineyard to a small-production bottling (typically limited to 200-300 cases), and perfectly showcase their terroirs and site characteristics. They typically have four different pinots to try—although serious pinot fans may opt for their vineyard vertical. 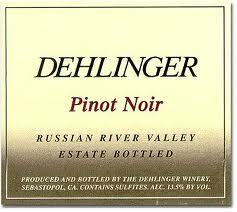 Dehlinger - Dehlinger has been producing fine pinots since the late 1970s, and has been fine-tuning their Pommard and Swan clone vines and craft since then. They offer different series of pinots, Goldridge (vigorous wines from deeper soils), Altamont Estate (hilltop vines with darker flavors and spices) and their High Plains and Octagon bottlings—the latter being their pinots of distinction. 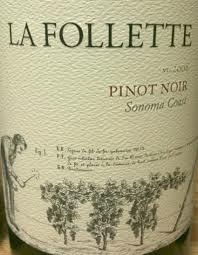 La Follette - La Follette is known for two things: chardonnays, and pinot noirs. This red/white coupling of course makes it a winery favorite for many couples. They offer two extremely distinctive pinot noirs, their van der Kamp, and Manchester Ridge. Their van der Kamp line boasts of floral aromas, late palate and brown spice finish. The Manchester Ridge variety offers fruit aromas, deeper notes, a finely-textured palate and a forest-floor finish. 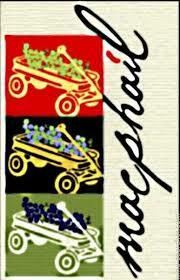 MacPhail - The folks at MacPhail are true pinotphiles—and their motto? ‘To peace, love and pinot!’. James MacPhail produces small-batch pinot noirs, the highlight of which is their Mardikian Estate pinot. Even if the $85 price point is higher than you have budgeted, visit their tasting room and let your senses marvel at its use of Chinese Five Spice, and earthiness. Merry Edwards - Merry Edwards, a collection of family and friends, went a little nuts for pinot—a fact made obvious when you see that they produce eight pinots, and one white (which seems to vary each year). Their pinots are scaled between price points for entry-level wine lovers, and then scale upwards. Many of their pinots are award-winning, from ‘best in show’ to 90+point scorings. Their 2012 Flax Vineyard earned a whopping 96-point score from Robert Whitley of Wine Review Online. 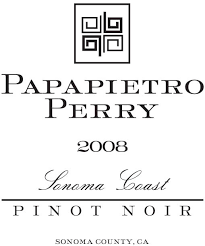 Papapietro Perry - Papapietro Perry Winery focuses largely on pinots with their 8,000-case annual production volume—the majority of which goes to their single-vineyard and clonal-designate pinots. Critics have recognized them time and time again, and James Laube even named them as one of Wine Spectator’s “Top 20 Pinot Noir Producers in Sonoma County”. 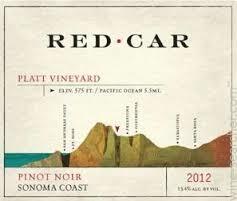 Red Car - The Red Car winery specializes in pinots, chardonnays and syrahs—but ask any local what they’re ‘really’ known for, and it’s their pinots. Their brand of cold-climate pinots are aromatic and complex but balanced, thanks to their wild-yeast utilization and gravity-flow processing. 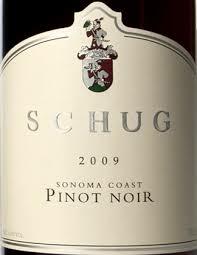 Schug - Walter Schug had a long professional background as a winemaker before sprouting off on his own to fulfill the dream he developed as a vintner. 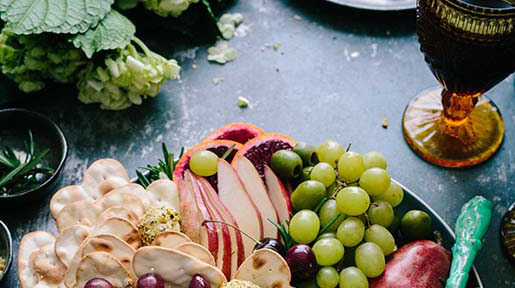 This dream was to focus on chardonnay and pinot noir varietals…and he’s done just that. And he certainly did it justice. His robust pinots have done well locally as well as commercially. Many winery visitors appreciate his no-fuss approach to wine from days long gone—no fancy castles, just wine that speaks for itself. 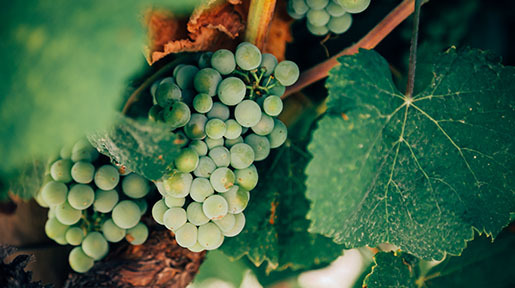 California's Sonoma County has a near-perfect climate for growing cool-weather grapes. Fog banks that creep over the hillsides from the Pacific Ocean and relatively cloudy weather during key months (Californians call it "June Gloom") make many parts of Sonoma an ideal place to plant pinot noir and chardonnay.